We pump out grease traps throughout the Ridgeland, SC area and will help you keep your grease trap clean and functioning properly. If your business uses a grease trap, it’s critical that you keep it functioning, especially if you run a restaurant or another type of business that uses a kitchen frequently. Grease traps are devices designed to collect oils and fats that might be trapped in your wastewater before they’re allowed to reach your sanitary sewer lines. If the accumulation of grease becomes too much, these lines will become clogged and back up, which isn’t so good for business. At Degler Waste Services, we can’t stress how important it is for you to have your grease trap pumped and cleaned out on a regular basis. We pump out grease traps throughout the Ridgeland, South Carolina area and will help you keep your grease trap clean and functioning properly. Our cleaning services for grease traps are comprehensive and involve removing all of the water and waste matter from the grease trap. We also scrape down the walls and the floor of the tank to remove any grease buildup and check for blockages that might exist between the building and the grease trap. For your convenience, we offer scheduled service calls, so you can depend on us to ensure your grease trap is always in proper working condition. You can choose the frequency and time of service, and we can provide you with recommendations regarding how often you need to get your grease trap pumped. Contact us at Degler Waste Services today to find out more about the services we have to offer for grease traps. We look forward to hearing from you! 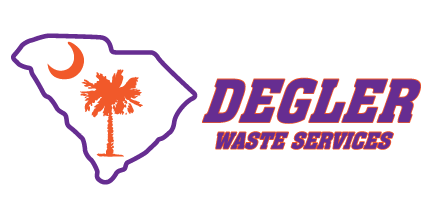 At Degler Waste Services, we offer high-quality services for grease traps in Ridgeland, Wellford, Lyman, Spartanburg, Inman, Tryon, Landrum, Greer, Taylors, Greenville, Mauldin, Simpsonville, Travelers Rest, Pumpkintown, Lady’s Island, Bluffton, Hilton Head Island, Hardeeville, Beaufort, and Walterboro, South Carolina, as well as Savannah, Georgia.